Do you want to learn how to optimize Google Adwords mobile campaigns? In this post we will give you a list of 10 tips so you can improve your mobile campaigns performance. Why should we decide to launch a ppc campaign for mobile devices? As we all must heard, the smartphone use has widespread globally and because of that it is a great opportunity for ppc marketers since it opens a new window filled with a huge new target. Currently most of the conversions coming from desktop / tablet / mobile, have been helped or influenced by previous searches performed from a mobile device. In many cases, smartphones are used with the same frequency as desktop devices to search online.The most common tasks performed from a mobile device are to read news, to use the search engines or to check the calendar. In countries like Spain, the smatphones are used by all age groups almost in the same amount so we can say that the integration of smartphones devices in Spain is very high. In other countries such as UK or Sweden, the smartphone is considered an important and almost crucial device in the different phases of a product search and purchase. Following, we will give a detail a total of 10 practical tips which will help you increase profitability and achieve success in your ppc campaigns targeted to mobile devices. 2.Once we have our page ready for mobile devices,the next step should be to install a tools to improve the user experience on our webpage and landing page. Tools like Hotjar or CrazzyEgg allow us to visualize the user interaction divided by device type. The strength of Hotjar is that this records all interactions in our landing page which can be filtered by source / medium. By that, we will be able to see how users who come from Google Adwords navigate on our website and whether they have any difficulty. CrazzyEgg, provides detailed information on clicks, scroll downs, heat maps of our landing pages. We also have the option to filter by device, source / medium and others. With these tools we will really learn how the users interact and navigate on our webpage. These tools have both the free / trial version and the paid version. Highly recommended if the goal is to optimize the user experience in order to increase conversions or the basket value amount. 3.When we create a PPC campaign that is aimed to target mobile devices, we should not make mistakes such as only having keywords in exact match type. It is highly recommended that keywords match type should be either broad or phrase. When a user proceeds with a search from a mobile device, there exist two trends. The first is a search with one or two keywords and the second is a search from five to more keywords. This occurs for two reasons. The first is that since the user has to type what he wants to search, the tendency is to do the less effort possible and therefore, type generic keywords. The second is to use the voice to make searches which consequently causes an increase on the amount used keywords. In the end, you know it all depends on the industry you are working for so, it would be interesting to analyze this data in your own industry and compare it to others. Generally speaking, it is said that the more generic the search queries are the higher the CPC for mobile devices will be. 4. When activating a search or display campaign, do not lower bid on mobile devices. It is common practice to decrease the bid to -100% on mobile devices as it is thought that there are no profitable mobile conversions. The practice and historical data show us otherwise. We recommend that you leave it at 0% initially and after a couple of weeks, analyze and conclude whether it is beneficial or not to bid for mobile devices. 5.Depending on the industry, historical data will surprise us and we will discover that, for example, there are campaigns that only have conversions from mobile devices! It is important to realize that it depends on the product you are advertising, the cpc for mobile will be cheaper than for desktop and that is why our ad position will get higher when our ads are displayed on mobile devices. Finally, we need to be aware that the ads positions on mobile devices are somewhat different than on desktops. Only those ads with position 1 or 2, are displayed to the user in the search page, in many cases, the have higher visibility than organic results. 6. As for display campaigns, there are usually always two locations which depending on the industry, need to be monitored closely: Mobile App and anonymous.google. To find out which locations are not bringing us conversions have to go to our display campaign –> Placements. 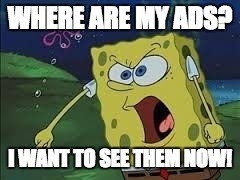 There we will have a detailed list of all locations (clicks, impressions, cost, cost/conversion…) If it turns out that these two locations are not profitable to us, we will need to exclude them from our campaigns. In order to do so, you have to type adsenseformobileapps.com and anonymous.google. 7.Create campaigns with mobile-specific ads. There are two options, the first one is create an add and check the box where it says show to mobile devices. Therefore, if our ad group has two ads one for mobile and one for all, it will be more likely to show this ad for mobile to mobile devices. The other option we have is to add an specific url for mobile devices. In this case, Google will always send users navigating with a mobile device to this specific url you have inserted. 8.Create only-call ads This can impact, in a more precise manner, those users who need our services immediately and have made the search query via a mobile device. What we achieve by creating this kind of ads is an immediate response from the customer. We recommend using this option if it fits with your business and if your landing page is not yet fully optimized for mobile devices. It is also important to note that we will need to set the time of the day and the day of the week we want our phone ads to appear. As for example, if we were a hairdresser we could announce our phone number so clients could ask for the appointments and also target the date time depending on our business working hours. 9.When creating mobile ads, it is important to note that the ad needs to be brief and clear (Use less than 35 characters). Moreover, the ad should include ad extensions containing either location, call, text, link. If our ads contain ad extensions and if we have a position of 1, we can automatically make the position 2 disappear and relocate it at the bottom of the page. This will make us gain maximum visibility since we will be preventing our competition to show their ad right behind ours. 10.For local searches, it is important to have complete all the contact details in your Google my Business. By doing that we will be able to create local inventory ads. Currently the following format is available in USA, UK, DE, FR, Japan and Australia, but it will land in Spain and other markets shortly. This type of ads appear on the Google Shopping tab and allow us to attract customers to our physical stores and inform them about the stock of the product they are searching for. 11. Consider this one last tip a gift. If we know that our customers visits our landing page on a mobile device and that this landing page has a clickable telephone. We can create a sort of conversion which counts every time a user has click on the telephone from a mobile device. By that you will be able to have an estimation of how many user have call you. If we don’t use this kind of conversion, we will not count possible conversions and our statistics will not be totally accurate. You can find this conversion under the conversions tab on Google Adwords. How PPC Advertising works and why should I invest on it? This is great information. Everything these days is mobile! Make the add like you are driving a car and your message is the billboard. Make it short and sweet and productive is what I got from your advice creating an ad for a mobile device. Thanks for sharing!